AppsFlyer is a mobile apps measurement platform that allows app developers, brands and agencies to track and optimize their entire mobile customer acquisition funnel from one real-time dashboard. AppsFlyer’s holistic approach allows advertisers to measure all media sources, including paid, organic, viral and social sources, without compromising user experience or accuracy. Integrated with dozens of media partners, AppsFlyer acts as the entry point for advertisers to promote and accurately measure their mobile app promotional campaigns. Metrics such as installs, post-install attribution, engagement, retention, ROI (return on investment) and LTV (lifetime value) per source are built into AppsFlyer’s core analytics platform, allowing mobile marketers to reach, maintain and optimize for consistent profitability with great ease. 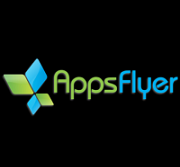 AppsFlyer is passionate about building a technology that will enable marketers to get the most out of their mobile marketing campaigns, allowing them to work their magic to the fullest.